The extent of the invasion impresses. No matter where you are in the world, know this - the aliens are mercilessly coming to assail you anew by means of Fantasy Flight Games' XCOM: The Board Game. With its free companion app and distinctive player roles, XCOM: The Board Game evokes all the fear, desperation, and heroism that lie at the heart of the popular and acclaimed XCOM computer games. All the while, it immerses you in a wholly unique play experience. Check out all the details at the dedicated product page and prepare for the onslaught that is set to begin Q4 2014. A very special thanks is due to our covert operative FullAuto for relaying this precious intel our way. Shut Up & Sit Down's Quinns and Paul review XCOM: The Board Game in a video found here. 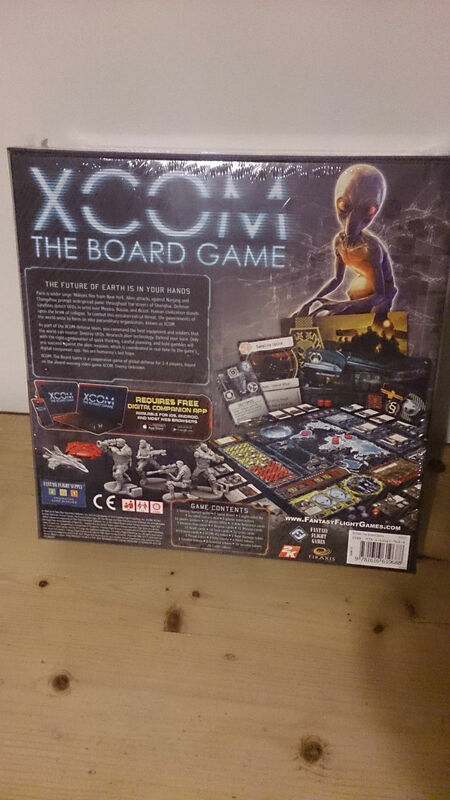 RPS' Robert Florence checks out XCOM: The Board Game, Part 1. What? You didn't buy it yet Mr. Collect everything X-COM? Not for that price I'm not! Besides, I blew my budget (well, not my entire budget of course, I have a couple projects in the pipe yet) acquiring all that rare X-COM/TFTD/MicroProse merchandise recently. That stuff comes once in a lifetime, the board game is still being produced. If I wait a while I can probably get it off eBay or Amazon for a lot less. I'm not sure I like the digital app necessity... Why wouldn't the whole game be played on the phone than? Board games should remain unplugged. IMO. I'm not a fan of the idea either, it almost sounds like a new version of the old VHS play along games from the 80's. Found a couple pics of the board game in case anyone is interested. The price is rather steep at Â£40.00-Â£50.00 (at least that seems to be the going rate right now in new unopened condition). Welcome to the forum, Mark. If you're presenting a board game, I'd advise you to start a new topic in the general game forum. 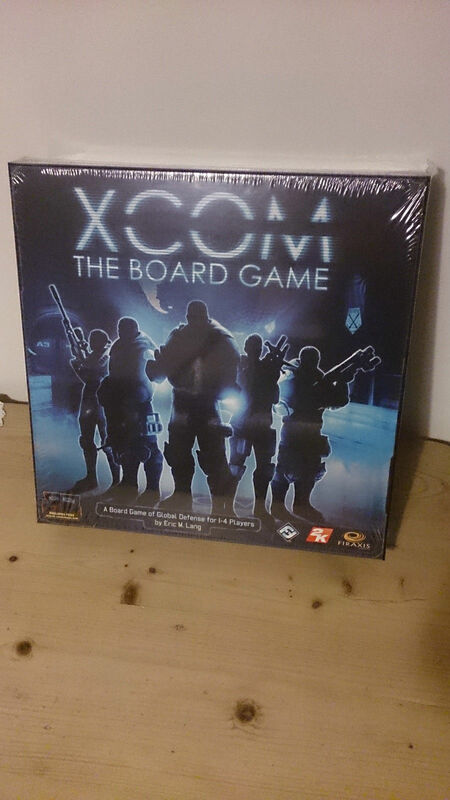 This is an XCOM: The Board Game dedicated topic, even if named "Across The Board". 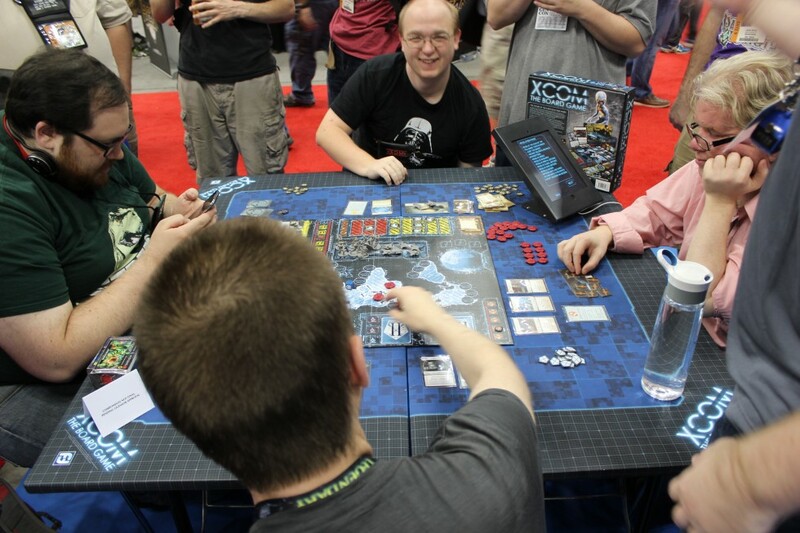 People playing XCOM: The Board Game at Gencon. PC Gamer's Julian Murdoch goes hands-on with XCOM: The Board Game. Polygon's Charlie Hall speaks with XCOM: The Board Game's designer Eric Lang about the game and how the companion app was always an integral part of it as conveyed in this article. Completely agree. Let's leave the technology at the door and play a board game the way it is meant to be. Very interesting, I'll be keeping an eye on this in the future. Thanks Thorondor and FullAuto! My hope is that this turns out to be a decent tabletop version, and perhaps Geek and Sundry will pick it up and feature it with Wil Wheaton (Star Trek: TNG), Felicia Day (The Guild) and special guests Jake Solomon and Julian Gollop. That would be awesome. By the way, Felicia Day posted a special thanks to all 1,000,000+ subscribers of her YouTube channel the other day which earned her a Gold Play award! Milk that cow eh ?